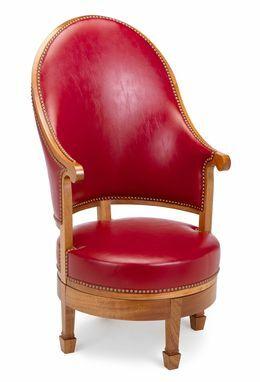 The original Revolving Arm Chair sits in the Cabinet of Thomas Jefferson's Monticello home. It was one of three elements that made up Jefferson's reading and writing arrangement in his Cabinet. 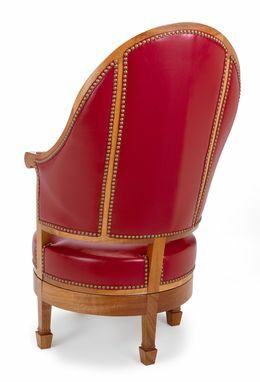 Jefferson may have purchased the chair from New York City cabinetmaker Thomas Burling circa 1790. 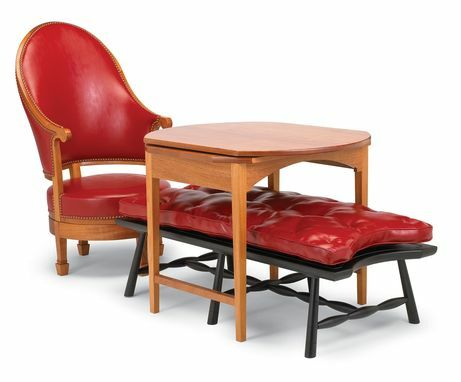 It is likely that the original chair was based on the French style concave desk chair popular during the Louis XVI period. Jefferson may have had a hand in the design of the revolving mechanism that allows the chair to swivel. 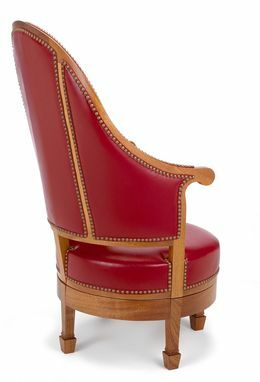 George Washington had a very similar chair, also purchased from Burling, now at Mount Vernon. For more information on the history of the original chair see The Worlds of Thomas Jefferson at Monticello by Susan Stein (1993:267). All of our licensed pieces are custom commissions, hand-crafted in our boutique studio. The Monticello Revolving Arm Chair® is part of our licensed Monticello furniture collection.